If you're looking for promotional products you've come to the right place. We promise to make ordering quick and easy, and we're sure you'll save money. 4imprint offers 35,000+ of promotional products with our 360° Guarantee®. On-time shipping, lowest prices, and 100% complete satisfaction. We offer FREE samples and absolutely FREE professional art assistance. Need something fast? Over 6,000 items available in 24 hours at 4imprint.com/24hour. Plus, as a 4imprint customer, you'll receive our regular Blue Box® mailings. These special boxes come to you filled with FREE samples, offers, information on the very latest products and much more. Powerful technology plus a human touch. Companies of all types and sizes around Wisconsin (and the world) rely on ADP cloud software and expert insights to help unlock the potential of their people. HR. Talent. Benefits. Payroll. Compliance. Working together to build a better workforce. Access to high quality primary care physicians, specialists, hospitals and other health care providers. Engaging with members & their physicians for preventive screenings or when more cost effective treatment alternatives are available. Cost & quality transparency tools to help individual’s better control expenses take charge of their health & manage chronic conditions. Offering a broad range of plans to provide comprehensive care –and improved health for your employees including dental, vision, life & disability & EAP. Find out how Anthem can help your business thrive! Helping people live well is the purpose of Advocate Aurora Health. And as the 10th largest integrated health system in the country, we’re helping companies maintain and improve the health and wellness for employees with a full portfolio of innovative services. With products like Wellness, EAP, Occ Health and on-site clinics, we’ll help find solutions that are right for you, your employees and your company’s bottom line. As a leader in clinical innovation, health outcomes, and value-based care, we can help provide employees the resources to be their best. Together, we are living our purpose. As a Third-Party Administrator, Benefit Advantage provides high quality benefit administration services to large and small employers on a nationwide basis. Our core services include: FSA/HRA/HSA/Transit Administration. As well, we provide COBRA and State Continuation Services to keep you compliant on all levels. We offer other specialized services such as ERISA Compliance, Retiree Medical Savings Accounts, QSEHRA’s, and Dependent Audits. We are here to guide you and service the needs of your employees. The Boardman & Clark Labor and Employment Law Group provides a full range of services for its private and public sector employer clients. Because of our size and state-wide presence, we have the knowledge, experience, and capability to serve and meet our clients’ needs, regardless of size, location or union status. As employment counselors, we prefer to focus on helping our clients avoid problems before they develop, but we are also experienced litigators, skilled in the efficient and practical resolution of legal disputes once they arise. The Business Health Care Group (BHCG) is a coalition of committed employers in 22 eastern Wisconsin counties offering innovative solutions to improve health care quality and cost efficiency for employers, employees and the community. Leveraging more than 200,000 covered lives and the collective experience and knowledge of leading employers and strategic partners, we have made remarkable progress in slowing health care cost trend – for our member employers and the community. Through an ever-growing portfolio of employer solutions, BHCG offers member employers preferred pricing, performance guarantees and exclusive programs. Since 2003, employers have also benefited from extensive networking opportunities, education and support. With the robust support and involvement of CEOs, member employers and strategic partners, we are at the forefront of efforts to help improve the value of health care – both quality and cost. We have been a pioneer in employment background screening for nearly 35 years. Headquartered in Troy, Michigan, we service clients throughout the country. Because of our dedication to our clients and applicant experience, we have eared a spot on the Inc. 5000 list of fastest growing companies. We calue integrity and quality as strong pillars of our organization. We help companies like yours globablly with hiring and retaining the best talent through services designed to identify the best possible applicants. The Epiphany artificial intelligence Enterprise Business Management Software was designed and developed by Crystal Computer Consulting in Wisconsin with a purpose as a one-stop software solution for all functions in an organization: human resources, payroll, timeclock, scheduling, accounting, web portals, data repository, interface engine, document flow, logistics and reporting. Within Epiphany is an entire range of HRIS to include applicant tracking system (ATS), CRM, payroll, Manpower Tracking & Timeclock, Safety, Health, & Training, and even ERP. Others’ software was designed with solving someone else’s problem. Epiphany was designed to solve your problems and never become obsolete. 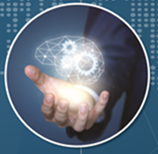 Try the NEWEST generation of software – Epiphany artificial intelligence Enterprise Business Management Software. Have an Epiphany! With over 85 years in the industry, ESCO is the Gold standard in recognition programs. ESCO's new online Gift Selection Program, KARAT, is the ultimate solution for rewarding employees. This innovative platform has the perfect blend of features, functionality, and ease of use. KARAT allows us to custom tailor a solution to meet your organization's exact needs. Appreciation is one of the leading drivers in employee engagement. So, partner with ESCO to show your most important asset, your employee, how much you appreciate them! Express Employment Professionals of Madison, WI is a leading staffing provider helping job seekers find work with a wide variety of local businesses. Because we're locally owned, we live in and work in this community and have a vested interest in its success. In addition to our staffing services, our team is actively involved with a wide variety of causes and organizations that help strengthen our beautiful city. We offer cost-effective health, work/life, voluntary and other benefit programs to clients all over the world. From healthcare coverage to life insurance and beyond, our expert guidance equally supports your goals of administering employee benefits and managing expenses. We don’t just deliver reports­­—we turn data into strategic plans that get results. As an extension of your internal Human Resources team, we do the hard work on our end to make your decisions easier. Now there’s a wellness and rewards program that inspires employers and employees to live healthier lives for themselves and their families. Go365 by Humana is a data-driven solution unlike any other, supported by reputable results in reducing sick days and minimizing doctor visits. By integrating rewards with health, Go365 by Humana provides the tools and support to help individuals take small steps that can lead to big changes in their health and lifestyles. Take this opportunity to re-energize employee productivity and your company’s bottom line. Go365: A fresh, best-in-class consumer experience that puts employers and employees in the driver’s seat. J. J. Keller & Associates, Inc. is a leader in risk and regulatory management. Since 1953, Keller has helped companies comply with DOL, EEOC, OSHA, and DOT regulations. We have HR resources to help you manage ADA, FMLA, FLSA, employment laws and more. Our offerings include labor law posters, publications, training programs, online services, and outsourced services. With offices in 80 countries across the world, Manpower is the global leader in contingent and permanent staffing, providing organizations of all sizes with a continuum of staffing solutions to enhance business agility and competitiveness. Manpower helps you to manage the ever-changing talent needs in today’s world of work in which rapid access to the right talent is a powerful competitive advantage. With our thorough understanding of staffing trends and our deep pool of highly qualified Candidates, Manpower can deliver the talent, matching the right individual to the right job—faster and with better business results. Local offices throughout Wisconsin are here to assist you with industry knowledge and a strong candidate database for your needs in manufacturing, administrative/call center and skilled trades. Providing innovative solutions to match your unique business requirements, our staff is professional, flexible and responsive. Let us help your success! Founded in 1901, MRA is a nonprofit employer association that serves more than 4,000 employers, covering more than one million employees worldwide. As one of the largest employer associations in the nation, MRA helps its member organizations thrive by offering the most comprehensive assortment of HR services, talent management, learning and organization development opportunities, and total rewards planning to help members build a successful workplace and powerful workforce. Founded in 2013, NOVO Health represents board-certified independent providers offering specifically designed healthcare solutions to self-insured employers. By uniting single specialty Centers of Excellence, NOVO delivers leading-edge medical services at a dramatically reduces price point. NOVO bundled care services come with a limited warranty, and pricing is know upfront and provided in a single bill. Self-insured employers searching for cost-saving healthcare options find in NOVO a strategic partner able to create savings while maintaining high standards in medical outcomes and patient experience. Paylocity is a software company that offers a full HRIS suite of services and predominantly works with businesses with 50-1500 employees. We are publically traded company that has a great presence in Wisconsin. Of our 17,000 clients, over 900 of them are in WI alone. The greatest areas where we help our clients is by streamlining a lot of the manual processes they deal with today. Also, being a mobile first company, we provide the tools to offer a modern workplace and an engagement platform for the whole organization! QPS was founded in 1985 and has grown from a two-person operation to a company whose internal staff now numbers over 330 employees in nearly 50 office locations throughout the Midwest. QPS has experienced substantial growth over the last 30 years. We currently employ more than 6,000 associate employees weekly and work with over 1,500 companies throughout the Midwest. QPS has earned a reputation for responding to both employees and customers, finding optimal employment for applicants and taking initiative to resolve customers’ staffing needs. QPS has light industrial, skilled, office and professional positions open in a variety of industries, including warehouse, food production, metal fabrication and electronics as well as other consumer based good manufacturers. To see the branch nearest you as well as the openings QPS Employment Group is hiring for, please visit www.qpsemployment.com. Remedy Intelligent Staffing is a nationally successful staffing agency. Our mission is to be the most respected staffing firm in each market we serve by providing best-in-class, extra-mile service to our valued clients and associates. Robin with HealthPartners brings world-class caregivers and insurance coverage together to create a health plan option that puts people first. Robin is centered on a joint passion for improving the health and well-being of individuals, businesses and Northeastern Wisconsin communities. 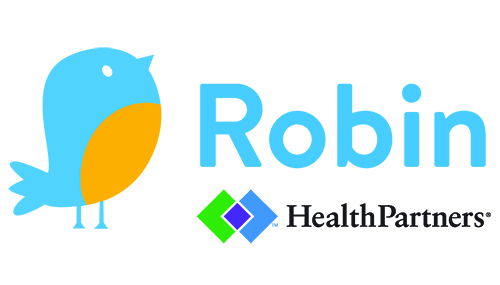 In collaboration with Bellin and Thedacare, Robin provides more health plan options and extends access to safe, expert local care while managing costs over time. Spherion is a leading recruiting and staffing provider, specializing in temporary and direct hire placement of administrative, clerical, customer service, light industrial and professional job candidates. To help clients attract, engage and retain a high-performance workforce, Spherion offers in-depth market knowledge, outstanding customer service, a strong network of talent and unique insights from its groundbreaking Emerging Workforce® Study, now in its 21st year. As a certified Minority Business Enterprise (MBE) organization, Spherion has been serving the recruiting and staffing needs of Wisconsin businesses and job seekers for 28 years. We are staffing veterans with a solid understanding of workforce trends, an in-depth knowledge of the market, and a passion for matching the right candidate to the right job! Ultimate Software is an American technology company that develops and sells UltiPro, a cloud-based human capital management solution for businesses. Headquartered in Weston, Florida, the company was founded in 1990 by current president and CEO, Scott Scherr, and released its first version of software in 1993. You know your business. We know UW–Madison. Let’s get together and do something exciting. Our business engagement liaisons are ready to work with you to better understand your needs and business goals and to build connections and collaborations with partners on campus. Let’s get started. Interested in becoming a part of the directory next year? Watch for details when exhibitor registration opens for the annual Wisconsin SHRM State Conference.